This week, Faults in the Vaults takes a trip back and forth through time with the help of a DeLorean and H.G. Wells. Mitch & Josh side with the Libyans to put an end to Back to the Future (1985) in order to secure the past and present for 1979's Time After Time. 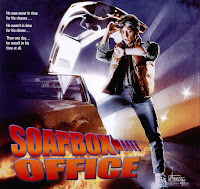 In The Soapbox Spotlight Interview we get the amazing chance to journey behind the scenes of the film and talk to the writer/director of the movie, Nicholas Meyer! The Mailbag continues the "Grecial" saga of brotherly competition, while in This Week in Torrents, Josh presents a VHS copy of the 70mm Imax footage to Back to the Future: The Ride! Another installment of Where in the World Cinema?, takes a look at the cinema exports of Spain. Specifically, Nacho Vigalondo's expertly crafted time loop thriller, Timecrimes (2007). Josh goes Digging Up The Docs to spotlight 2017's BBC presentation of Tom Waits: Tales from a Cracked Jukebox, directed by James Maycock which you may be able to find here. Also in this episode, Future advice and shenanigans for Raleigh Soapery, Post-sickness survival tales, VR announcements, and the birth of Livvy Grace as a YouTube star! We celebrate our one year anniversary with another edition of Drinking and Drive-In's with very special guest - filmmaker and FX guru - Bob Kurtzman. 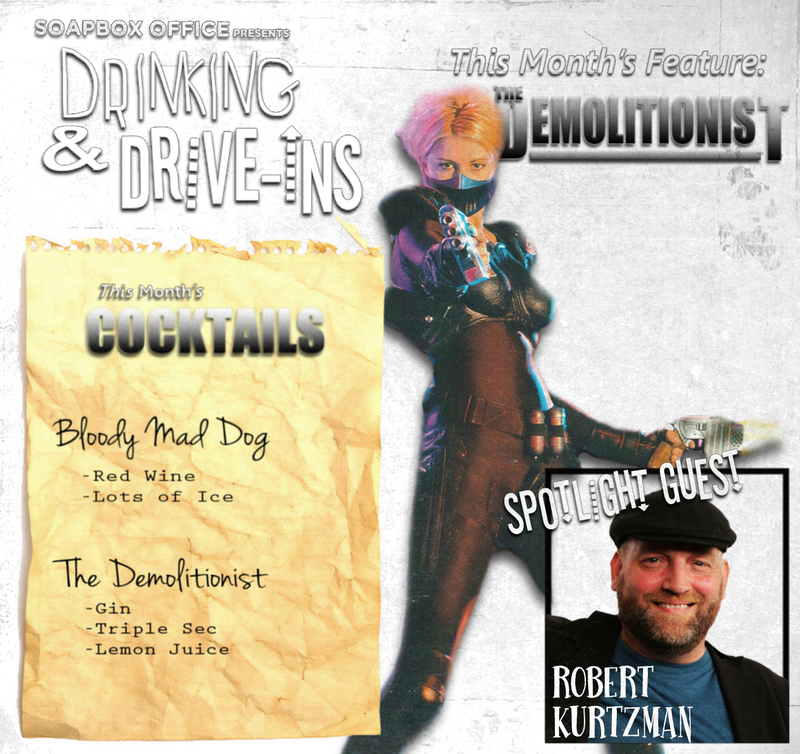 Mad Dog himself joins Josh and Mitch as they enjoy theatrically themed cocktails and look back at another forgotten cinematic exploitation film from yesteryear - Kurtzman's feature directorial debut, The Demolitionist (1995), starring Nicole Eggert and Richard Grieco! The Mailbag pulls listener questions from social media for a short Q&A from our audience. Meanwhile, Josh and Mitch again ask Where in the World Cinema? as take a look at the South Korean zombie-action-drama, Train to Busan (2016). Also in this episode, insights into Robert Kurtzman's life and career. We go behind the scenes with him for stories and other shenanigans from his years of living in Hollywood with KNB to his time in Ohio where he started Creature Corps. 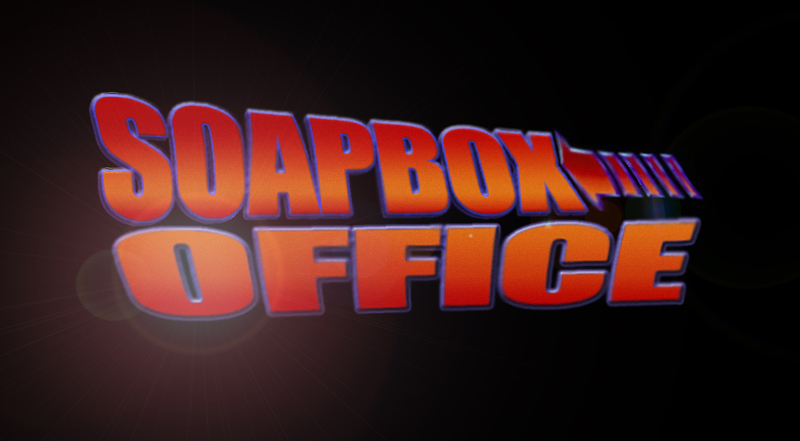 Sit back, grab a drink, and enjoy this very special first anniversary edition of The Soapbox Office Podcast!